We live in strange times. In the Twitter Age, we have taken to verbally crucifying each other, all under the guise of free speech. We have a tendency to place people on a pedestal and then take pleasure in knocking them down. The electronic media has made this even easier. In essence, our ancient days of primitive idolatry are still very much present in a supposedly evolved and rational age. Over the years, we have seen and lauded the meteoric rise of actors in Indian cinema. We have been fascinated and enamoured by their personal journeys and witnessed scenes of mass hysteria reminiscent of the audiences who thronged the terraces of the coliseum in Ancient Rome. Today, we still enjoy a good bloodbath. We remain a fickle mistress. We are the ones who are now ready tear down the very people we helped raise so high. I log on to YouTube, I look up trailers and news bytes and as I scroll further down the page, I am horrified by what I find. Comments like “yuckkkkkkkkkkkkkkkkkkkkkkkkkkk……………another BRA1 ON HIS WAY” on the Don 2 trailer or “bachchan b*tch” on a video about Aishwarya’s pregnancy. These are just two of the comments amongst countless on those videos alone. Go to any other video with any other celebrity, and you will find the same thing; comments that are just venomous and vitriolic, and lacking in any substance. I don’t even understand how BRA1 works as an insult. Is the bra meant to insult the film? The garment in question is at the centre of a multi-million dollar industry: Anne Summers, Victoria’s Secrets and La Perla, to name just three. Evidently, this along with the iconic importance of the brassiere in sartorial elegance and fashion is, oddly, lost on some. The poster has paradoxically declared the film a success and has given it iconic status, which was clearly not their intention. Then again, insults are always of limited calibre. However, it is the latter of the two comments that I find most disturbing. A woman, irrespective of whom, is pregnant with her first child. A moment that is universally celebrated is in this instance being met with malice. Indian culture has great regard and respect for mothers, and it is “comforting to know that the future of this tradition is in safe hands”. Understandably, that there are times when we don’t like a certain person. A certain celebrity, in this instance. Sometimes it’s because we imagine there to be a rivalry with our personal favourite and at other times it’s a certain characteristic that irritates us. It is natural for us to express that in a conversation when the topic crops up. However, to take time out of our day to post a hateful comment on a video that we could very well avoid just seems sadistic. Of late, all celebrities have faced vilification; “She’s let her career slide”, “He’s self-serving” and the ever popular, “S/he can’t act”. It is understandable; they are in the public arena, and in a business where success is solely measured and judged by popularity. However, I think we have passed the point where criticism is constructive and ventured into territory that is drenched in bile. Amitabh Bachchan was recently accused of ‘controlling’ the media when India’s Broadcast Editors’ Association (BEA) passed the edict limiting the coverage about Aishwarya Rai’s pregnancy. You’d think that if someone wanted to control the media, it would be to garner further interest in their ‘product’. Score a ‘buck’ in any which way. They wouldn’t be trying to protect their privacy or trying to limit publicity for their ‘brand’. They would instead be manipulating any and every situation to their greatest advantage. To me, this particular type of criticism just screams of spite. Similarly, Aishwarya is frequently disparaged, and increasingly so by Toms, Dicks and Harrys and these comments are there for all and sundry to see. I don’t consider myself a fan, but I do have immense respect for her. She has not played the pregnancy card, which so many of her Western counterparts have done. Yes, in India this isn’t a common practice but she has previously forgone convention as she continued to work post-marriage, and with impending motherhood she could have once again broken tradition. She didn’t. She is a high profile celebrity and she could be gracing covers of magazines and giving interviews detailing her pregnancy. Cashing in on an opportunity, so to speak. She isn’t. If we ignore all the trappings of fame and who she is, there is only one important fact: she is pregnant. On any other day, we give up seats on buses and trains. We try and ease a pregnant woman’s strain and baggage. These societal diktats don’t change because the ‘she’ in question is Aishwarya Rai. She deserves to be treated with the same respect and courtesy; she should not have to deal with the ‘strain’ and ‘baggage’ of personal tirades. While I doubt she is concerned with petty sentiments of the Average Joe and his sister, it is inexcusable that this kind of behaviour isn’t raising enough eyebrows; it is met with, at best, indifference. Maybe we all need to wash our mouths out with soap. Certainly a growing minority of YouTube users might find it a beneficial exercise in civility. Shah Rukh Khan seems to be another one on the public “hit list”. He is human and like all, he has limitations and flaws, however, they do not take anything away from the grand scheme of things, and that is he is trying and doing his very best. Yes, Ra.One has its problems but there’s a bigger picture; it is working in an almost entirely new medium while trying to remain true to its roots, which is Bollywood, and that is not an easy task. If you’re expecting the sleekness and depth of superhero films of the West, then you have forgotten one key factor: these ‘mainstream’ films were once marginalised graphic novels. For decades, the genre belonged to the Comic-Con ‘geeks’. These films have documented backstories dating to the sixties and an entire mythography to work from. Ra.One doesn’t have a backstory and the characters aren’t just superheroes, they are Bollywood superheroes. It did well within the boundaries. So declarations of its box office fate from the uninformed audience seems like an attempt dishearten fans and perhaps, the actor himself. If we can suspend our disbelief during the implausible action sequences and denouement in the Bodyguard, and find it a thoroughly enjoyable experience then I think the same consideration can be extended to Ra.One. It’s fairly simple: the film isn’t the problem. From my perspective, the overwhelming hostility towards the film stems from all the hype and PR. 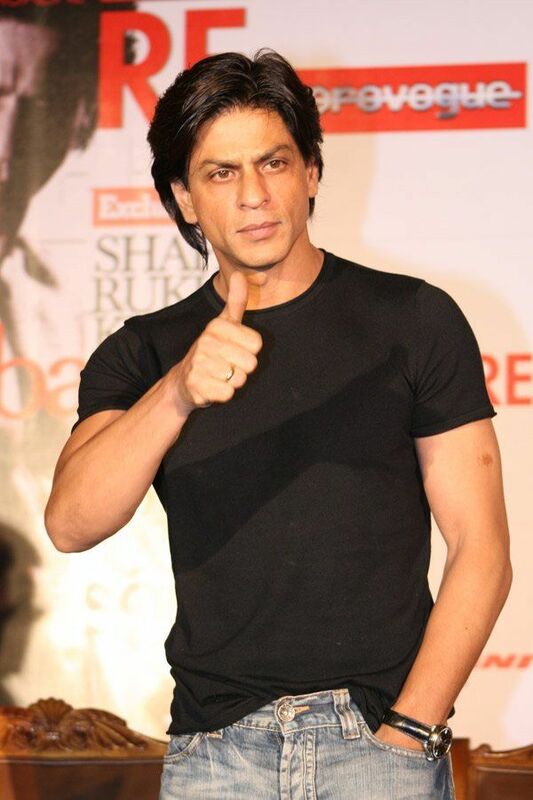 In essence, Shah Rukh’s own PR and its subsequent media coverage is responsible for the current storm of malevolence. It is not about him but a reaction to the forced omnipresence of the Shah Rukh Khan myth. This too, like all those before, shall pass. Whatever the reason, there is negativity on an unprecedented scale and it isn’t just limited to just the aforementioned stars. Every actor, director and producer has been experiencing their own tumult. These falls from grace are not the work of the media. For once, they are not wholly culpable. That’s the grand deception. Though the media is certainly giving voice to these “grievances”, but from the evidence at hand, it appears that it is the audience that is flying this particular flag. The public can access the media in a more immediate way so the media now has a vested interest in appeasing us, the masses, which is in direct conflict with what qualifies as responsible journalism. Over the years, the animosity between most stars is almost entirely fabricated, usually a result of overly fertile imaginations belonging to their fans. The idea that there can be more than one superstar is almost unfathomable. The notion that their idol can be subpar is sacrilege. There’s an embattled tango between fans that has neither elegance nor grace. There’s arrogance in our opinions and a self-importance in our beliefs; we feel entitled, that everything we feel must be expressed. These are no longer abstracts. We, the audience, need to be held accountable; we cannot place the blame solely on the media or on the mere mortals that we willingly raise to an almost divine status. As wise people have said, “If you have nothing nice to say, then you shouldn’t say it at all. At least not in a public forum.” It is astonishing how much energy is being wasted in hating someone. One would think that time would be better utilised supporting the ones we do like. It’s incidents like this that prove we are a complicated species. We bask in someone’s success only to later dismiss it. We want transparency yet we criticise hidden behind the mask of anonymity. I was sure that we were better than this. I am sure we can be better than this. 16 queries in 0.809 seconds.